UN Security Council Resolutions on Women, Peace and Security. 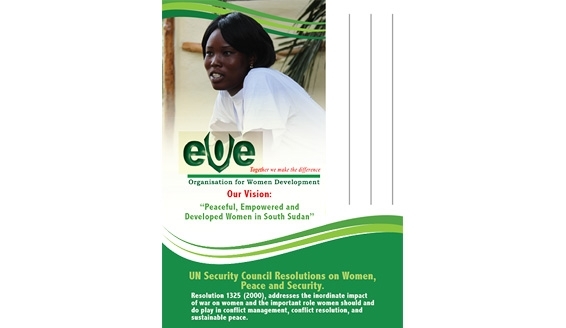 EVE Organization was founded with the aim of empowering women and addressing challenges that hinder women’s progress in South Sudan. Empowering women involves advocating for policy changes that will adequately address women’s concerns, ensure women’s peace and security and socio-economic stability, and also support their participation and inclusion in decision making and peace processes.